Found one file extension association related to Sticky Notes and 1 file format developed specifically for use with Sticky Notes. You can use Sticky Notes to write a to-do list, jot down a phone number, or do anything else that you'd use a pad of paper for. 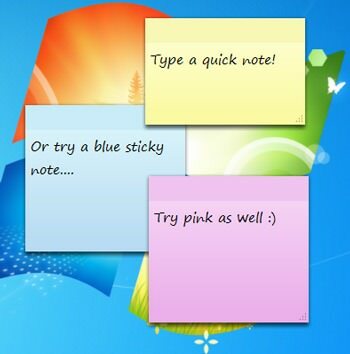 You can use Sticky Notes with a tablet pen or a standard keyboard. To write a note using a tablet pen, simply start writing on the note where you want the ink to appear. To type a note, click where you want the text to appear, and then start typing. If you need more information please contact the developers of Sticky Notes (Microsoft Corporation), or check out their product website.